Tribute to Enid Wallin Baxter. 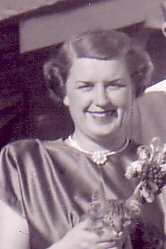 Enid was born in Orcutt, CA to William Henry Wallin and Emilie Elizabeth Tucker Murray Wallin on March 14, 1922. She was the youngest of four children. She had three much-older brothers John, Joseph and Robert. Her mother liked the name Enid because it was short and unique. It was the name of a famous actress of the early 1920s-Enid Bennett-.Her mother did NOT want to saddle her with a lot of middle names as she was. 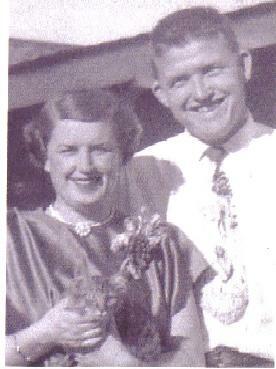 This bothered her that she didn’t have a middle name, so as soon as she married she proudly became Enid Wallin Baxter. Enid only had one nickname-Pete. Her spouse always called her “Honey.” Her children called her “Mom”, her six grandchildren: :”Grandma”: her 5 Great-grandchildren:” Great grandma”. She was called “Pete the pup” by her brother John, but he was the only one allowed to use it. She graduated from Anaheim High School in 1940. She was interested in a secretarial career and briefly attended Fullerton Junior College. She enrolled in a business college and after graduation she went to work at Santa Ana Army Airbase (now Orange County Fairgrounds) .She later transferred to Gardner Field near Taft, CA where she finished her Army career. During her working days she was able to type and take shorthand at the rate of 80 words per minute. After World War II she went to work for General Electric Company in Los Angeles. Sometime later she tired of the big city and asked her mother if she could move home. Her widowed mother of course said, yes! She moved home to Anaheim. Her new next-door neighbors were the Baxters and their sons John (Jack) and Bill. Jack at the time was attending Fullerton Junior College. He was commuting to school with Enid’s nephew Carl Miller who introduced Jack and Enid over the back fence in January, 1947. 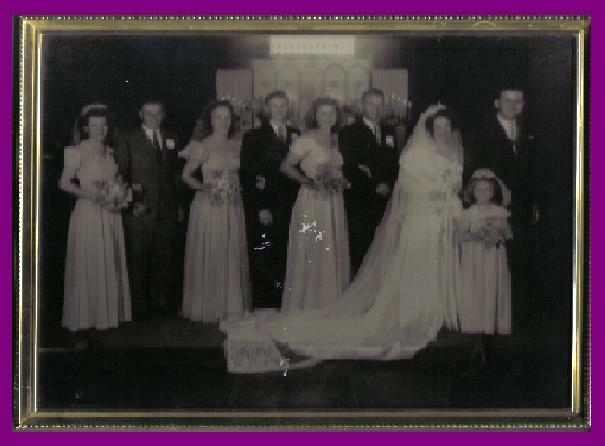 Jack and Enid began dating, became engaged in March and married at St. Michaels Episcopal Church on June 22,1947. After Fullerton J.C. They moved to Berkeley where Jack attended and graduated in 1952 from the University of California with a degree in Wildlife Conservation Jack’s first job was with the Division (later Department) of Fish and Game at Terminal Island (San Pedro) working in Marine Fisheries. Enid became a full time homemaker. They raised two boys, the Reverend Dr. Jeffrey L. Baxter born 4/17/1952 And William E. Baxter born 10/11/54. They bought their first home in Anaheim in 1955. Jack was promoted and they moved to the Sacramento area in January 1969 where Jack was Chief of the Marine Resources Branch. In September 1971 Jack accepted a position with the National Marine Fisheries Service as Special Assistant to the Director in Washington D.C. They bought a home in Rockville, MD. In December, 1973 Jack was reinstated to the Department of Fish and Game and later named Northern Area Manager of the Marine Resources Region and stationed at Menlo Park, CA. Jack and Enid bought a home in Fremont and joined Centerville Presbyterian Church, where Jack was an Elder and Enid a Deacon. In December, 1981 Jack was promoted to Regional Manager with headquarters in Long Beach. They bought the present family home in Westminster and joined First Presbyterian Church of Westminster. Jack became an Elder (2 terms).Jack and Enid were active in bible studies and Enid was in the first training class for Stephen Ministers. She loved it. She and Hal Pope were the first to be assigned cases. 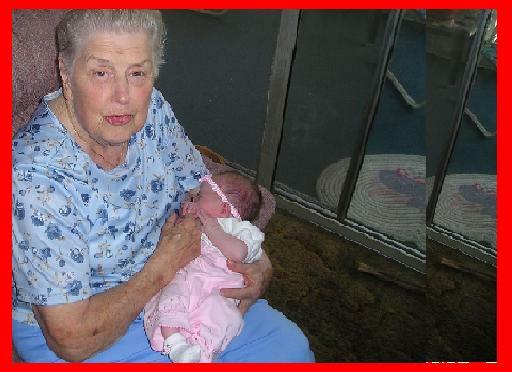 In 2005 she became so crippled by arthritis she was put in a Anaheim Healthcare Center a nursing home. She suffered a debilitating stroke on July 29,2005 and was largely bedridden thereafter. She was moved to West Anaheim Extended Care in April, 2008 where she remained until she passed away on April 5. She suffered extreme pain constantly as her condition deteriorated. several tmes in recent weeks she told Jack “I want to go home”. Her prayer was answered when she went home to be with the Lord at 10:26 PM on April 5. Her last words to Jack were “I Love You”. The family would like to thank several people. Pastor John visited her almost every Monday. Pastor Paul also visited her frequently. Her Deacon Linda Osdale visited often and sent letters and cards of encouragement Walt and Norma Schulte visited often as did Emanuel and Gracie Miller. We apologize that we cannot recall everyone. Some who come to mind are Yvonne Roses, Gayle Harvill, Jan Lyttle, Marion Aguirre, Wilma Bearss. We also thank the staff members at Anaheim Healthcare Center and at West Anaheim Extended Care. Everyone gave her loving and wonderful care. We want to particularly acknowledge Maria Gonzales, CNA, who faithfully and lovingly cared for Enid most of the past year. God Bless you All! Jack and Enid Baxter and Handles-1948. Photo Album II (Mom's Memorial Service).